Looking for two Masters on Bulk carriers DW: 28339 and DW: 56024 under Liberian flag. Crew Nationality: Officers - Ukraine nationality, Ratings: Philippino. Minimum qualifications: Max 55 years old Min.5 years experience as Master. Experience in geared bulk vessels. 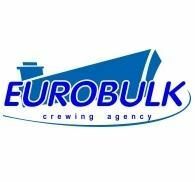 Experience in Greek owned vessels. Experience with mixed nationality crew. Speaking very good English. Total monthly salary: usdoll 9000. For any question +380673295357 Valeria. For application forms crew@ontario-marine.com.